Dear readers, you are in for a wonderful time! Please find yourself a cozy place, get a cup of coffee or whatever you like and get ready to peek into the brilliant mind of Muhammad A. (Rumee) Ali. Muhammad A. (Rumee) Ali is the Chief Executive Officer at Bangladesh International Arbitration Centre (BIAC). Mr. Ali has a diverse and decorated career. 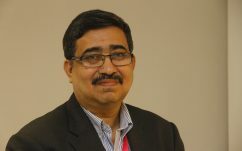 Prior to joining BIAC, he worked at BRAC for over eight years as the Managing Director of Enterprises and Investments where he streamlined BRAC’s social enterprises, provided strategic guidance and board supervision to BRAC Bank as the Chairman and closely oversaw the early days of bKash as its first Chairman of the Board. He served as Deputy Governor of Bangladesh Bank from 2002 to 2006. 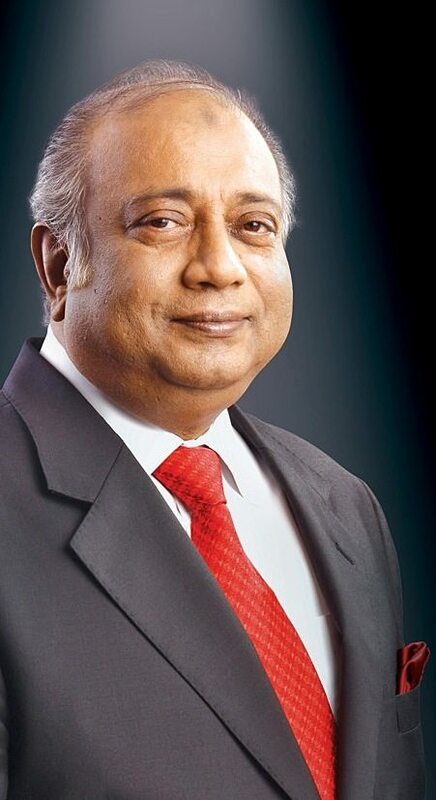 He was the first Bangladeshi CEO of Standard Chartered Bank and ANZ Grindlays Bank, Bangladesh. In fact, he was the first Bangladeshi to hold the CEO position in any major multinational company in Bangladesh. Mr. Ali is considered as one of the most important, impactful and finest business leaders in the country. 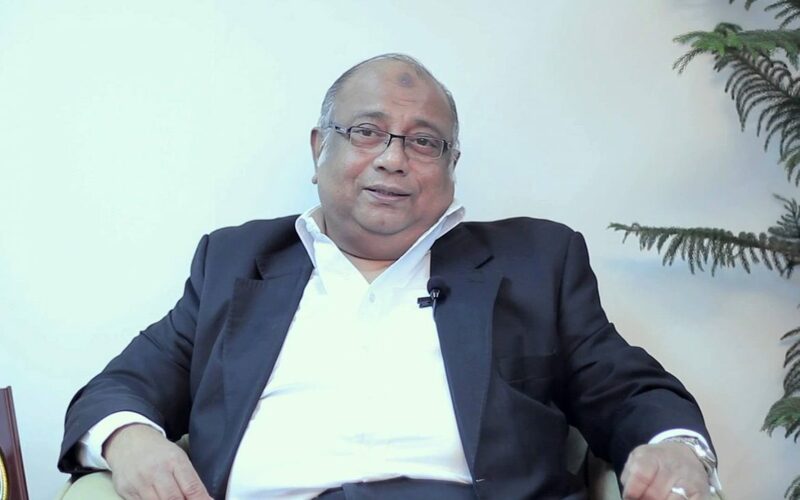 In this interview, Mr. Ali walks us through his early life and upbringing, reflects on his journey to what he is doing today, his several-decades-long career spanning multiple countries, institutions and important roles, trials and tribulations he has had to face throughout his career, shares his thoughts on the state of financial industry in Bangladesh, fin-tech, and the future of financial industry, talks about his work at BIAC, incredible importance of arbitration for the development of the overall business eco-system of the country and his ambition for the organization, discusses his management philosophy and why investing in people is disproportionately important for organizational success, shares his ideas for building a lasting institution, ponders upon the meaning of life and explores the eminent importance of reflecting on our life and work regularly, staying true to yourself and living your values and the peril of limitless ambition and greed and why we should give without the expectation of reciprocity. Where did you grow up? Please tell us about your journey to what you are doing today. I was born in the academic environment of the Dhaka University campus where my father worked most of his life. My father, Abdul Hadi Talukdar, initially was a teacher. He did his Masters from University College London in 1932 and started as a lecturer at Dhaka University but later moved on to university administration. He was the Registrar of Dhaka University from the 1930s to 1960s till his retirement. I remember, he told me that to succeed in the academia as a teacher one needs to continuously study, research and publish papers besides teaching students. But my father did not have much faith in his ability to write and instead opted for an administrative job as the Registrar of the University he so loved. Contrary to that, my mother, Nurun Nahar Hady, came from a family of writers. She was a very well-read and talented person. My maternal grandfather, Nurul Huq Chowdhury of Ulania, Barisal, was one of the first Muslim writers of the undivided Indian sub-continent. His novel ‘Kalapahar’, first published in 1920, was reprinted and published by the then Kendrio Bangla Unnoyon Board in 1970. My mother also used to write and she had her interests in poetry. Her poems were published in ‘Boshumoti’ and ‘Shishu Shathi’ from Kolkata and in ‘Begum’, ‘Mahanau’ and Lolon’’from Dhaka. I come from a very large family of 6 brothers and 2 sisters. 2 of my brothers have left us. My parents made sure that we all receive a good education. All of us have graduated and had schooling from good institutions. One of my brothers, Fazle Rab, like me, chose banking as a career and worked mostly abroad. My wife studied English Literature and Language at Dhaka University and has been a pillar of strength to me throughout my career. She chose not to pursue a career because she knew my job will take us on stints over a year outside the country. She told me she made a conscious decision and taught English Literature to O and A Level students till a few years back. She told me once that she would have resented my career moves to foreign countries if they interfered with her career progression. She is also a remarkable hostess. Due to the nature of my profession, I had to maintain relationships with a lot of people from diverse backgrounds and countries. Her personality and the fact she had lived abroad (her father, M. Lutfar Rahman, was the first Commerce Secretary of Bangladesh Government after independence) and knew fluent French and Urdu made her an accomplished hostess and above all an excellent human being. She takes interest in social work, helping the poor and deserving and is involved in running a clinic outside Dhaka, of course not to mention being a wife and mother remains her first priority. I started my schooling at Holy Cross School. Back then it was a co-education school up to class 3. After my 3rd grade, I moved to Saint Gregory’s High School. In 1967, I passed my matriculation examination and went to Dhaka College to study science. At that time we had only three choices: humanities, science or commerce group from your 9th Class and you could choose again when you join the college for HSC. I shifted to humanities group in college but I had to promise my father that I would eventually study economics, because he wanted me to go for Science subjects but I wanted to follow my own calling. I did my HSC from Dhaka College. For my undergrad, I wanted to study political science but my father did not allow me and reminded me that I had promised that I would study economics. I never regretted following my father’s instruction and my earlier promise. As a student, I had a keen interest in debating, recitation and play reading. This led to broadcasting and I often participated in the mid to late sixties in English plays and programs for students in Dhaka Radio station which was in those days located in Shahbag. Later in 1972, I was asked by Mr. Muzakyer at that time an Asst Director at Bangladesh Betar to start a program called World Music. It was in English and we played music from all over the world. On Sundays, there was a special edition of music on listeners’ request called ‘Your Choice’. I met my future life partner, Tamara, at this program. In a way, you could say I was the first “RJ” or Radio Jockey of Bangladesh. In those days this term was not used. We were called ‘comperes’. We had a great time not only participating but in many cases helping in producing and conceptualizing the programs. I was also the host of a program called ‘Radio Newsreel’. The External Services of Bangladesh Betar’s English language programs started from Dhaka early 1972. Shameem, Sadia, Fida Bhai, Nafees are some of the names that come to mind from those days. I must recall that Shameem Ahmed, the well-known news reader was instrumental in my introduction into the post-1972 broadcasting. He introduced me first to Mr. Muhaddes who was at that time an Asst Director and was responsible for the External Services of Bangladesh Betar. Doing well was incredibly important in our time. A good job was always considered as something you should pursue because alternative options were limited. Culturally, Bangladeshi people had this odd thing about business that it is not for good and brilliant students. If you are a good student you should become a teacher, an engineer, a doctor or you sit for the government’s civil service exam and become a Civil Servant. If you are not as good as the first lot, then you would go for Military Service. And the remaining ones would go to business and the parents will help to set up business for you to ‘survive’. This was the reason why we didn’t have that many businessmen and entrepreneurs after the Liberation War. The entrepreneurial culture was not embedded in our socio-cultural psyche and entrepreneurship was neglected. There was almost no attempt to encourage the growth of this vital economic factor. If you look back, we only had a few industrial size businesses at that time. The number of prominent Bangladeshi entrepreneurs was few as well. You can still name the few famous ones from that time such as the Ispahanis, Jahurul Islam, A K Khan, O R Nizam and a few others. Most of the other industrial businesses were operating out of Karachi. Almost all the Banks were owned by the Pakistanis. There were, of course, small businesses but large ones were very few. And we had to suffer the consequences after 1971. After the liberation, we faced a shortage of industrialists and big businesses who could take the economy forward because most of the big businesses were owned by, as I mentioned earlier; Pakistanis and they left the country after the war. A significant number of the first group of Bangladeshi businessmen was actually middleman. They were given the authority to negotiate and invoice between the buyer and seller. As a result, indenting became a stepping stone for a new class of businessmen in Bangladesh. In 1975, I joined National Grindlays Bank, later ANZ Grindlays Bank, as a Management Trainee after completing my BA in Economics from Dhaka University. Later I completed MA while at the Bank. It was one of the most sought-after jobs in the market given that the civil service exams had not started and the private sector was very small and offered limited opportunities. This job offered a very good salary and perks. After 2 years you would be made permanent in the job and sent on training to either Athens or Beirut or London. After confirmation, you would be given a house and probably a car. I applied, gave the interview and got selected. Incidentally, I did not receive my letter to appear for the medical exam and was not present. At that time, I was in Masters at DU and was staying at Shurjo Sen Hall for a short while. Zahid Nizam was a year senior to me and we both were residents of the Hall. He asked me why I did not appear for the medical and that he had seen that my name was listed among those who had crossed the interview hurdle successfully. He took me to Mr. Zaheer who was at the time the head of personnel, that is what head of human resources was called in those days, and a fresh letter was handed to me and a medical exam was arranged for me. I went for the medical and then, of course, the rest is, as they say, history. At the time, Citibank N.A. had taken over part of the bank and it was also going through a phase of transformation. The concept of management trainees as new management level graduate intake was introduced by the Citibank. Citibank N.A. to a great extent transformed ANZ Grindlays Bank into a more structured institution. The bank had a colonial culture before but Citibank gave it structures and systems. Anyways, after a year, in 1976, I got confirmed in the job and was transferred to Chittagong. In those days, we had very thick ledger books with three columns: one for credit, one for debit and one for balance. On the closing day of the year, we used to sit with all the ledgers and adding machine. We have to balance the book with general and subsidiary ledgers. As a result, in the closing days, we had to stay late at night in the office. Culturally, the bank was very conservative in its outlook and used to do ‘niche banking’. There was no consumer or retail banking. People could open a current account or savings account but no loans were given to the individuals. Depositors were usually high-profile individuals. The Government was our main lending client. The economy was largely public sector dependent at that time. Everything was nationalized because it had to. After the war, all the industrialists and businessmen left Bangladesh leaving behind their businesses and there was no one to run those businesses. So the government had to nationalize those businesses to make them survive and appoint people to run them. It must be understood that nationalization was not a choice but an imperative for the government to keep the businesses running. The privately owned banking sector also went through a shock. Almost all the local private sector banks were run by West Pakistanis and after the war, they closed their operations in Bangladesh. National Bank of Pakistan, Habib Bank, United Bank and Mercantile Bank became Sonali, Agrani, Janata and Rupali Banks respectively by a Nationalization act of Parliament. Since Dhaka was a provincial city, we had a provincial Branch of Central Bank but it was not central bank rather it was just like the branch of Bangladesh Bank in Bogra or Chittagong. The banking industry had to be nationalized. However, foreign companies were not nationalized. Lever Brothers, GlaxoSmithKline, Bangladesh Oxygen Ltd remained private sector multinationals. After 1971, the total infrastructure had collapsed. Dhaka was a provincial capital before 1971 which was very different from running a state and its policies. There had to be monetary policy, Central Bank, foreign affairs and defense system. Moreover, there had to be trained bureaucrats and trained people. Unfortunately, we had very inadequate trained human resources when the country was liberated in 1971. Bangabandhu literally performed a miracle by putting all the missing pieces together overcoming all these obstacles and create a functioning state machinery. The country started its journey as a war-ravaged country with destroyed physical infrastructure but a determined nation with an even stronger national will to survive, blessed with the unique leadership of Bangabandhu. That is why I say it was a ‘miracle’. At the time I joined the bank and in my early years at the Bank, Government was the largest client. Besides, the Bank used to concentrate mainly on the multinationals like Bangladesh Tobacco, Glaxo, Unilever, and Bangladesh Oxygen etc. The bank maintained its lending portfolio in these two sectors while the deposits mainly came from retail, international bodies like UN, World Bank, UNICEF and small and medium businesses. In 1981, I became the country operations manager which was the 4th position in the hierarchy. It was a great learning experience for me. In those days this position was responsible for virtually all except the lending business. I learned planning, tax management, human resources management and operations of a bank. It was particularly challenging because the Bank was going through a transition from a bank run on the basis of just policy directions to an operations system based bank. Citibank NA which at that time owned 40% of the Bank’s shares introduced this at the Bank. My first priority was to implement this operations system given in three volumes operations manual. The first section was Policy, the second, Processes, and the third, Reconciliations. I had been sent on a four weeks training course to the Grindlays Executive Training and Research Centre in Delhi in 1976 where I learned how this works and how to implement the manual. This came in handy when I was given this task in 1981 as the Country Operations Manager. After two years and full implementation of this and other processes and systems, in 1983, I was sent to Mumbai for on the job training in lending and credit risk management. I was in the largest lending branch in India which was lending to Mahindra, Tata, Bombay Dyeing and other renowned companies. During the training period, they started with a classroom training course on credit risk analysis and then I was sent to work alongside an assistant account (now called ‘relationship’) manager. I had to work my way up the approval chain to where these were approved at the Regional Credit level and understand how it was done. That is to understand the Bank’s Credit Risk Management. When I was working as an asst. account manager for an account manager she asked me to write a Credit memo on an ongoing relationship. Once I finished it, she took a look at it, made some small changes and sent it to the next level in the approval chain. By the time it reached the regional office, I was in the regional office. I was assisting the regional credit head and he sent that memo to my desk. I looked at it and I wrote 4 or 5 relevant queries on what was missing in the memo and sent it back. My account manager friend was not happy. She called and reminded me that I had written the memo and now I am the one who is pointing out the inadequacy of the memo. I told her that when I wrote that memo I had a particular perspective and that was to sell this credit to the Bank but now my position has changed and I am wearing a different hat. I am now doing a due diligence on that memo and thinking differently about this credit. This incident was a great lesson for me not only as a lending banker but also as a husband and a father, an employee, and employer. In all relationships, there are different points of views or perspectives. I told her that when I wrote that memo I had a particular perspective and that was to sell this credit to the Bank but now my position has changed and I am wearing a different hat. I am now doing a due diligence on that memo and thinking differently about this credit. This incident was a great lesson for me not only as a lending banker but also as a husband and a father, an employee, and employer. In all relationships, there are different points of views or perspectives. After coming from India in late 1983 and after a very short stint in Dhaka I was sent to Chittagong in early 1984 as the Area Manager. I was in charge of the geographical area and also the lending segment. I was the first Bangladeshi in 80 years, till then, to hold that position at ANZ Grindlays. We had some very large corporate customers in Chittagong. Chittagong was still the commercial hub at that time and there were quite a few head offices of different multinationals and local companies including Ispahani Group, GlaxoSmithKline, and Unilever among others. I spent 18 months in Chittagong. I must mention Alan Cooper who was the Country Head of the Bank at the time. He will remain in my mind as one of the best expatriate officers I came across in my whole career. He was the first Country Head to implement positive changes in the Bank. His most important contribution must be empowering Bangladeshi officers and training them for excellence. He was a great leader who knew how to lead a team to bigger and more successful performance. His tenure can be mentioned as the ‘turning point’ of the bank. In 1986, I was sent to our Head Office in London to work as a Credit Inspector. My team used to cover what we called UK, Europe & Middle East. My time in Group Inspection was an exceptional learning experience for me. As a member of a team of 7/8 persons working as credit inspectors, our main job was to examine and rate the lending portfolio of the branches of the banks in this geographical area. It was an interesting position since the area covered third world countries like Pakistan and Kenya, middle-income countries like Greece and UAE and advanced economies like Germany and Spain. We used to go through the 98% of the book by volume and by numbers and we had to cover 90% of the book by numbers. The remaining 10% were small loan accounts. These were random sample checked and the requirement here was we had to cover at least 75% by volume. To explain how this worked; suppose the bank has a volume of 100 crores in lending. It is possible that only 20 accounts comprise 80% of hundred crores. In order to check the both ways, we had to maintain these two parameters, by volume as well as by number. I worked there for more than 3 years and learned about every possible way things could go wrong for a lending banker. We went to places like Zimbabwe, Zambia, Uganda, Kenya, and Ghana. In the Middle East, we had covered Pakistan, UAE, Oman, Bahrain, and Jordan. In Europe, we covered Spain, Greece, Germany, France, and UK. It was a fascinating job for two reasons. First, there was a variety of learning opportunities. With each new country and new branch come new business, new culture, and new industry. I was gathering a diverse learning experience about business operations of different companies in different countries. Second, I could see places. We used to stay in London for 4 months and rest 8 months we had to travel. For example, I wouldn’t go to Zimbabwe as a tourist though it is a great place to visit. Same goes for Jordan. Some of the places there are simply of out of this world. But of course, there are two sides to every story. The downside of this job was that my wife was left with a young family to cope with in London almost two to three weeks every month. The only respite was during the longish Christmas break from overseas inspection tours in December and January. In 1988, I was given an opportunity to stay in London. My boss, the then Chief Inspector of ANZ Grindlays Bank, Rob Molyneux, who later became the Head of Human Resources at ANZ Group, offered me two options. One was the position of area manager in Dhaka and the other was another two-year contract after the completion of my third year in a couple months time. The second option had the prospect of a permanent residency and a possible second passport for the family. When Rob called me to ask I was in Abu Dhabi. I instantly told him that I would rather go back to Dhaka. He then insisted that I speak with my wife. I called her and shared the news she too opted to go back home. So I returned to Bangladesh in 1988 as the number 2 of the bank. I was again the first Bangladeshi to hold that position. I believe that I had broken the ‘glass-ceiling’ of the hierarchy at ANZ Grindlays Bank. I don’t think it was because I was more qualified or exceptionally good at my job. I believe in the past 95 years there must have been many Bangladeshi officers who qualified for that position it was rather a case of discrimination and intentional sidelining of local talent for senior positions in the Bank. To me, the opportunity was not handed out on a golden platter either. I had to work my way up. I had to earn it. Once, they had told me that they will make me CEO of other countries but not in Bangladesh, I demanded an explanation and at the end made it clear that the explanation they were giving was not a good logic. I also politely laid out my position on the issue that if this institution is taking its decision based on wrong and unacceptable assumptions then I have to look for other opportunities. I told them that I am not going to spend my life for a retirement job that is returning to Bangladesh as the CEO as a pre-retirement job in the last few years of my career. I want to go to my country and work there as a CEO now so that I could make a difference in my country when I can give my best. My country needs development of its financial sector and I want to make a difference there. My work will have far greater impact in my own country than elsewhere. Here I will tell you a conversation I had with a Scottish colleague in 1986. It was on the white sand beach in Nyali, Mombasa. We were sipping a drink and enjoying the view when he turned to me and asked me why I was still working at this bank. I was a little surprised with this odd question and had responded by asking him what he meant by the question. He said that he found me an excellent officer and very good at my job and his view was that since this Bank will never make a Bangladeshi the head of the bank in Bangladesh, I had the requisite talent and a very good chance to reach the top of a Bangladeshi bank. He encouraged me to take that route. I listened to him and responded with only a sentence. “Watch this space”. When I became the country head I sent him a one-line email, “I made it!” He was gracious enough to congratulate me in response and said: “if anyone could make it, I knew, you would be among them”. After returning from London, I started my work to transform the Bank especially broaden the lending portfolio of the bank from just government and MNCs to include consumer banking and local corporations. We were not still doing consumer banking in Dhaka. I prepared a long presentation to my regional head about the issue. The presentation had two scenarios, in scenario one, I showed him that if we continue to do business like this then we will need only two branches: one in Dhaka and another in Chittagong. We would consider the high-end customers only and for that, we don’t need nine branches that we had at that time and we would be able to save all the associated costs of running the seven extra branches. However, I predicted, this scenario is sustainable for 5 to 6 years at best and after that local banks will catch up and offer the same services and products at lower prices. After that, we would have to close the bank and go home. In scenario two, I showed him a completely opposite picture. We could broaden up our market; introduce new ideas and products which were already available in other countries. Emphasizing, particularly, opening up lending to the upcoming local corporate sector. I was careful to point out the inherent risk but highlighted our (the Bank’s) considerable experience in managing risk all over the world. Retail banking, investment banking, and lending options were all operational in other countries. We just need to bring them over here. I strongly advocated scenario two as the right and strategically the only sustainable option. The Bank’s Regional Head accepted scenario two but we agreed to do it gradually and steadily. One important product was introduced in the Bangladesh market during this time, when I headed Corporate Banking after returning from London in late 1988, was the synthetic Forward Cover for exporters. Essentially it was an interest arbitrage in which the Bank bought the Dollars from the spot market and held them till it was required by the exporter. That is when he was submitting his exports documents for negotiation by the bank. The forward cover for US Dollars was purchased by the exporter at the time he received the export LC. The bank passed the interest cost of holding the dollar to the forward cover selling price. It was a ‘synthetic’ product in the sense that this was not the way forward covers were done traditionally. This product was later duplicated by the entire industry until Bangladesh Bank stopped it for reasons best known to itself a few years later. I am told they were responding to a temporary pressure on the spot market. The genesis of Retail or Consumer Banking in Bangladesh started with the introduction of the concept of ‘products’ as a value offer as opposed to just vanilla services like savings, current and fixed deposits. This was in 1991 or 92. I had just returned after a course in Flowerdale, Australia and took this as a ‘Project’ under the supervision of the Group CEO’s office. This was a requirement of the course I attended. We introduced two products. One was SYFANZ (Secure Your Future with ANZ). It was a really interesting product. At that time, there was an 8 years savings certificate with an average yield of 21% and one could use that savings certificate as a security deposit. So we introduced a product that was essentially an interest arbitrage between the 21% yield and 16% interest 5-year loan with 10% margin. In other words, a customer applied for a loan of Tk.90 and bought Tk.100 of the Certificates which were deposited with the Bank as Security and repaid the loan in sixty equated monthly installments. At the end of the fifth year with the loan repaid the value of the security was more than Tk. 200. The customer could hold on to it another three years and receive a return of almost three times of the original face value. The product was marketed, as the name suggests, as a long-term savings product. Moreover, it helped create a discipline of loan repayment and a positive attitude of saving in the customers. This product had other firsts. We printed brochures, had a product launch, sales target for both the products, training for the front office and sales staff. In spite of the success of the product sales and the popularity of the product, the fact that we did not build our consumer banking ‘eco-system’ in the bank created major risk and credit issues in a couple of years as we later discovered. The major credit issue centered on the three-month interest cover we had by 10% margin. Unless the bank had a good operational review, monitor and action process this margin would be eroded and the bank could find itself with an uncovered position. And that’s what happened. This is what I meant by the absence of a consumer banking eco-system. In 1991, we started giving loans to consumers for which we introduced, PLANZ, our second product. People could buy land or assets or even go to a vacation. This was not only the beginning of consumer lending segment for ANZ Grindlays but also for the entire banking industry in Bangladesh. In 1997, when I came back from Australia as the General Manager, Bangladesh, which was the designation used for chief executive officer of the ANZ Grindlays globally, I was told that there was some problem with SYFANZ. We had an unrecovered bad debt of around 10 crores. A young officer, Masrur Arefin, who now is the Additional Managing Director of City Bank, from Chittagong had told me about this problem and that it was not just a Chittagong branch problem but it was a problem for this product portfolio in the entire Bank. So I immediately set up two recovery cells; one in Chittagong and another in Dhaka. The Chittagong cell was headed by Arefin. Their work was to call all the customers about payment and there was another group who used to go to the customer to collect the bad debts. In the end, we collected almost all of the bad debts. The process was structured with people, policies, and targets. I believe that I had broken the ‘glass-ceiling’ of the hierarchy at ANZ Grindlays Bank. I don’t think it was because I was more qualified or exceptionally good at my job. I believe in the past 95 years there must have been many Bangladeshi officers who qualified for that position it was rather a case of discrimination and intentional sidelining of local talent for senior positions in the Bank. To me, the opportunity was not handed out on a golden platter either. I had to work my way up. I still remember we had a chart of people who had to be called and a graph of how much we have recovered in our office. We could see how much of the money was recovered and the team performance on a daily basis. I mentioned Arefin because most people shy away from giving the CEO the bad news. I remember that I initially reacted quite aggressively but he was undeterred and stood his ground. This experience taught me something profound. You should put leaders in charge of projects if you want to succeed rather than managers. A manager will manage the project well and get things done by the book but a leader will focus on the result of the project and be brave and take calculated risks. Managers will not take risks and will not produce the greatest results but the leaders will take risks and will have a greater chance to produce better results. It is very important for any organization to identify people with leadership potential, nurture them and place them in appropriate positions. ANZ Grindlays Investment Banking was first in Bangladesh in many things. Abrar who heads the Standard Chartered Bank now was the head of our Investment Banking when the first syndicated loans were introduced in Bangladesh in 1997 (I cannot recall the exact date). In Trade Finance, the first electronic Letters of Credit were also introduced around 1998 by the Bank through the ANZ Link product. Selim Hussain who now heads BRAC Bank was in charge of the Trade Division. Structured Finance products were also introduced by the Bank when Mahmood Sattar was Head of Corporate Banking. In Consumer banking, Cards was introduced by a team under Muhaimen, now heading UCBL. Starting from the early nineties, the Bank realized the quality of the human resources in Bangladesh and started sending more officers on secondment to branches abroad for the first time. Shahed Noman served in Nepal, Ahsanuzzaman and Abrar Anwar in the UK, Imran Ahmed and Ehsanul Huq in India, Mahmood Sattar and Selim Hussain, served in Australia. During the implementation of e-banking platform CBS (Commercial Banking System), many of the officers went on three months stints to Melbourne including Imran Rahman, Shah Sarwar, Tarique Amin, Azad, Omar, and others. Bangladesh was one the first ANZ franchises to implement CBS and became an example of ‘seamless big bank (all branches in the country at the same time) implementation’ and our officers were co-opted to implementation teams for rest of the ANZ Group. I was seconded to a position in Melbourne, Australia in 1995. I was given a choice of going for a position in Corporate or Retail Banking. I chose to work in Retail Banking which was known as the poor cousin of Corporate Banking. I wanted to learn retail banking. Corporate banking is all about the head. There is very little heart in it. When we go for a corporate banking deal we have to show how much value it is adding to the corporate body in only numbers. On the contrary, in retail, there is the heart. You have to win the hearts and minds of your consumers. You have to create attraction and position your products to the minds of your customers. While a retail customer often takes a decision based on emotion, a corporate body usually sticks to the ‘best value offer’ credo. In retail banking, we have to create a brand and a sense of security, hope and a perceived reality in the mind of the customer, a perception that creates trust and safety in a dynamic way. I was drawn to this concept and I felt that it was an intellectually challenging exercise in terms of creativity and empathy. Another reason to join retail was, I wanted to introduce retail banking in Bangladesh market in a structured way and scale it up to a sustainable level by creating the retail eco-system in the market which was non-existent. I was convinced about the potential of retail banking in our country and wanted to work to build it in a way that it would benefit the economy. I saw this also as one of the ways a bank like ANZ Grindlays, a foreign bank from an advanced economy, could benefit the growth of the banking industry. I was made a District Manager in Melbourne and given an area called Footscray, to manage. At that time this area was populated by new immigrants who were mostly Vietnamese. There were Chinese, Malaysians and Indians also in the area. Managing retail banking in a diverse immigrant population was a challenging job due to the socio-economic condition and relatively lower income group of the population. Crimes were relatively higher. But I did not pay attention to the negatives. My only focus was to manage my sales and relationship team and set the branch up for success. The main outcome I was looking for was to learn as much as possible and return to Bangladesh with a new understanding of how a bank works in an advanced economy particularly the entire retail banking eco-system. I worked in Australia for about two years. Although I had the choice to stay in Australia, but I chose to return to the country and head the bank at home. In 1997, I returned to Bangladesh and became the General Manager & Country Head of ANZ Grindlays Bank in Bangladesh. It was a great responsibility not because I had to take the position of the head of the bank but because I was the first Bangladeshi ever in a multinational bank in Bangladesh and the stake was therefore high. I had to prove that a Bangladeshi could do the job as well, if not better than an expatriate from UK or Australia. I had a sense that I was under scrutiny not only by the banks but also by all the other companies, multinationals, and foreign bodies whether they were our customers or not, particularly, the multinationals which were still sending expatriates to run their Bangladesh operations. I had to think carefully before taking any step as it would give signals to all multinationals, multilateral and foreign programs in Bangladesh about the leadership capacity of Bangladeshis. I think I did convince them that we can. I led the Bank from 1997 to 2000, later two years, 2000 to 2002 as the CEO of Standard Chartered Bank. Our Bank, I mean the merged Bank too, prospered a lot during that time. We launched new products. We opened up the market for retail business by opening up new branches in Sylhet and Bogra – the first foreign bank in both the places. We had also brought investment banking and started doing syndications. We were also the first to set up the electronic letter of credit (ANZ Link) and electronic banking. We launched student loan for the first time in Bangladesh called “Student ANZ”, guaranteed by the parents. It was a 2-3 year loan and we used to employ these students as our interns. He would work for 2-3 years and repay the loan in the process. It was inaugurated by Ibrahim Khaled, the then Deputy Governor of Bangladesh Bank. We used to pay the interns BDT 2000 to 3000. Many of these young people later joined the Bank. I think the most important thing that stands out for me is the Vision 2000 Strategic Plan which we called V2K. We launched this in 1998. The main objective we set for ourselves, meaning the ANZ Grindlays Team was to become the largest private sector bank in terms of funds under management by the year 2000. The projected strategic path was extrapolated and we went through the three horizon planning session. We broke down the final outcome we were looking for into organic and growth through campaigns and Project – led growth. V2K was launched with a lot of fanfare with inspirational videos and PowerPoint presentations at what we called a “Town Hall Meeting”. I borrowed this term from what I saw at ANZ Bank in Melbourne. A large number of employees was invited from Dhaka and representations were invited from all branches. Later I replicated this in all cities we were represented in Bangladesh. Once we rolled it out, we had monthly updates in similar meetings. This, of course, set off an explosive growth of our balance sheet and bottom line. Bangladesh became a role model for the ANZ Group and I remember Elmer Funke Kuper who was the then Head of International Operations of the Group came to visit us in early 2000 and took the entire V2K along with videos and presentation and circulated it globally. We had some really great people at ANZ. 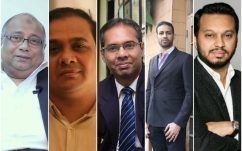 In fact, many of the leaders in the country’s banking industry today started their career at ANZ Grindlays Bank including the present head of Standard Chartered Bank Abrar Anwar, Selim R.F Hossain of BRAC Bank Limited, Sohail R.K Hussain of The City Bank, Shah A Sarwar of IFIC, Shafiqul Alam of Jamuna Bank and Mamunur Rashid of PwC, A E Muhaimen, now at UCBL, Shah Sarwar in IFIC, S Masrur at Alfalah, Anis A. Khan at MTBL, Ahsan at Midland, Mahbubur Rahman at Dhaka Bank, and Forkan at BCBL and Humaira Azam, who headed IPDC as one of the first women CEOs in the private financial sector in Bangladesh. And many more of my colleagues are now leading or had led many banks in the country either as CEOs or as AMD or DMDs and of course, there were stalwarts of the industry like Mahmood Sattar, Ehsanul Haque, Kaiser Chowdhury, Niaz Ahmed, late Shahed Noman and Imran Rahman. 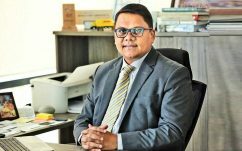 Not directly in the financial sector, there is, Imran Ahmed now heads Duncan Group, Majedur Rahman who heads the Dhaka Stock Exchange and of course yours truly as the CEO of BIAC. I must mention Nasreen Sattar who went on to become the CEO of Standard Chartered in Afganistan, the first Bangladeshi woman to head a bank anywhere in the world. My Support Manager Tahniyat Karim also moved on to become a very successful HR expert of the country as did, Farhana Amin who is now the Head of Compliance at Habib Bank. Tahia Khalil and Rozina Razzak also worked at a senior position in Standard Chartered. Here it must be mentioned that Grindlays first employed women as management trainees in the early 80s at that time there were officer level female employees only at American Express. I have faced this question quite a few times that how has one small institution like ANZ Grindlays produced so many brilliant leaders? What was it so special about this Bank? We are talking about an institution with a headcount of around 300 at its peak and the specific people who we are talking about were all in the bank between the 1980s and 2000, that is 15 years and the number will not exceed 100. Of this 100 the number who reached the top levels in the industry is disproportionately high. My reply has always been that it is all about mentoring, training to create leaders, not just managers. ANZ could bring the best out of all of us by investing in people. I cannot think of any senior manager of ANZ Grindlays who had not been trained both locally and internationally. I am sure this Bank had the highest training budget per capita of any bank in the country. An organization invests in fixed assets such as real estate, building, and furniture; to transform to an institution an organization has to invest in its human resources and turn it into human capital. At the 110 years celebration of Standard Chartered Bank recently, I said that we should remain equally loyal to the places we work as we do towards our school. We say that our educational institutions are our “alma mater”. I think we should do the same for workplaces where we spend most of our working lives. I believe that if our schools teach us how to win the war of life, our workplace teaches us how to win the battles of life and negotiate and manage the challenges of life. In order to create leaders, we need to invest in people. That is how you produce leaders in the banking industry or any industry for that matter. This is such a simple logic. Institutions and companies are about people. If you do not know and care about your people then how can you have a great institution? During my time at ANZ Grindlays Bank, we did tremendously well which later led to the acquisition of the operations by the Standard Chartered Bank in 2000. But it was not an easy transition. When Standard Chartered Bank took over us in 2000, it created a big jolt. As an institution, we had a distinct culture which was markedly different from the one at Standard Chartered Bank. It was like moving to a new country. I was personally very affected by it. My responsibility was to the people of Grindlays Bank. Since we were the subject of a takeover, our future was largely at stake. I was worried about the future of my colleagues because I knew there cannot be two heads of any Department. It was a real source of anxiety for me. My colleagues were like family to me. Many of them joined Grindlays as management trainees and stayed with us. I knew their families too. I felt very unsettled for quite a long time. Even though I knew I would have a place at the bank but I did not know where that place would be. Standard Chartered Bank had a program called CEOs 100 at that time. Rana Talwar was the Group CEO of Standard Chartered Bank and he used to invite 100 officers from all over the world to come for a retreat every 6 months to reflect on and learn about how the Bank is thinking, its strategy and long-term objectives among other things. In 2000, we hadn’t been taken over completely but I was asked to attend the CEOs 100 gathering in Bangkok. I still remember meeting with Rana Talwar, he looked at me and said that “you will have a great challenge in putting two banks together and running it”. However, nothing was sure back then. Later on, I became the CEO of both the banks and the incumbent CEO of Standard Chartered went on to a regional role. Although it was a very challenging responsibility of running two banks, we did very well in the amalgamation. The work was complicated and there was no legal framework, no precedence. Particularly the absence prescribed guidelines for fiscal matters made it even more complex. But my greatest challenge was the people who worked in what I considered my Bank, ANZ Grindlays, and finding a way to make the transition in a way that is least painful for them. Even today, when I look back, I find this as one of the things that I have done well in my career and something that I am proud of. The silver lining was the fact that my colleagues went on to join the local private sector banks and setting new standards of performance over there. Here, I must mention Mahmood Sattar who left the Bank just after the take-over and led the transformation of Eastern Bank. He became a role model for many who followed. His example must have been a source of inspiration for many at ANZ Grindlays who felt betrayed by their Bank. Mahmood later went on to replicate this at The City Bank, turning both of these banks into successful and modern banks. Even though I was the CEO, I did not feel comfortable in the new environment. We were doing wonderfully well in our numbers, but I was not feeling at home. I was feeling embattled and therefore stressed. I thought that I need a break. I decided to go back to school. I had been passionate about learning about public policy for a long time. I always thought about the impact of Government policies on the lives of common people, often immediately and then there is a potential impact for years to come. The question that I found myself asking was; how does public policy work? This aspect fascinated me. I thought it has to be an intense intellectual exercise. I always wanted to know more about the policy-making. So I decided to pursue studies on public policy. I had also applied to some universities in the USA. While I was doing all this, I got an offer to join Bangladesh Bank as a Deputy Governor. Since I wanted to study public policy and this was public policy in practice with a huge impact on the country, business and the economy, I thought it was a great opportunity. The compensation and other benefits were not great. The salary at Bangladesh Bank at that time was, in real terms, around BDT 23,000 per month plus house rent of 40% of that and a car to use; I was told that it was the highest grade for any government official. This was by comparison with what I was getting at ANZ and Standard Chartered a very small percentage. An obvious consequence of my ‘policy decision’ would be on family finances so I asked my wife for her opinion. Like always, she was generous and reminded that public policy had been my passion for a long time and I wanted to work at a place which would give me such opportunity. So I took the challenge of morphing from a commercial banker to a central banker. In a meeting with the then Governor of Bangladesh Bank Dr. Fakhruddin Ahmed, this was before I joining the central bank, he had asked me why does ANZ Grindlays which is run in Bangladesh entirely by a Bangladeshi management team outperform all other banks in the country in many performance indicators? It was a good question and I gave it a lot of thought for a few days and I found two or three fundamental concepts that were making all the difference. I figured that it basically comes down to performance as a function of good governance and risk management. The governance of the bank determines how the bank should manage risk and put together policies and processes and create structures that implement the policies in a sustainable way. So when I met him the next time I told him exactly that. Dr. Fakhruddin did not ask me any more questions. After joining, I was tasked with creating a risk management guidelines for the banking industry. It was not done or given by Bangladesh Bank to the banking industry to follow rather than it was done through collaboration and using focus groups with people from the industry. Five “Core Risks Banking Guidelines” were published. Bangladesh Bank, with the help of International Finance Corporation, trained at least 1000 bankers in a series of training programs. There was TOT or Train the Trainer program also. It was a complex undertaking. We had to ensure that the guidelines were up to the global best practices as well as conform to our local context and problems. This was the first time in Bangladesh guidelines were produced for the banking industry. Moreover, the identification of risk area was also never done before. The 6th guideline was IT and Communications guideline which looked over the cyber threat, security of IT platform and the systematic risk it has. At that time security threat was not a big issue yet. Similarly, the security-related concern among the banks was equally disappointing. There were banks that used one single password for an entire batch of employees which was a huge risk. After seeing all these IT security issues, I proposed to the Governor that a guideline is required on IT. Later we included the monitoring and audit of banks on the implementation of the guidelines through the Systems Audit Program Manual for Banks which was again a first in Bangladesh. Both the Offsite and Onsite Supervision Departments were involved in this. The system based audits in the banking industry was introduced during this time. In the existing central bank audit regime, it is a post-mortem rather than prevention. But to prevent something from happening the implementation of the risk guidelines have to be implemented correctly by the banks. For example, the systems based audit will first check if there is a clearly articulated, implanted and monitored lending policy in the bank. The traditional audit will check a particular lending account to see if the loan is good or not. The system based audit will ask you whether you have a policy guideline or not. If banks start lending to anyone and everyone, they will be exposed to a huge risk and is more susceptible to bad debt and bankruptcy. So there has to be a policy guideline to ensure the risk is at an optimum level and the bank is maintaining that guideline. For instance, if banks were lending money to casinos, arms manufacturers, and shady businessman, they will be exposed to a huge risk that may lead to bankruptcy. The guidelines are required because it will ensure that the banks will not lend to these industries. Moreover, the policy says that credit recommender and credit approver should not be the same person. So, without policy, a lot could go wrong. A lack of policy could lead to eventual mismanagement and lack of governance which will lead to corruption and irregularities. System audit checks the system and decides whether the system and processes are sufficiently secured and are in place in order to prevent anything from going wrong. We implemented it by breaking it into a series of actions. We had broken down the risk guideline into questionnaires with different weightage on different questions. From this, scores were derived for different banks. This score tells how good a bank is and vice versa. Along with the auditing at year end, this system based audits ensured a proper supervision system. The whole structure of Risk Management can be broken down into two methods. First, it is a proactive method where you establish security checks and the second is a reactive method where you find out what went wrong in the system and go back and make sure that it does not happen again. Any institution will have a secured system and process using these two methods. This was where I had worked and focused my concentration when I was in Bangladesh Bank for 4 years. I also reorganized CIB, on-site audit and off-site audit. I found that in many cases the returns sent to Bangladesh Bank were just received and filed. There were also some unnecessary returns that could be discontinued. We implemented some systems that would ensure and identify the core focus of the return in question. We implemented a format that would isolate variances over a certain percentage in the quarterly accounts submitted by the banks. This would highlight any unusual movement in accounts and ask banks to explain the movement. The key was banks should not be under the perception that their returns are not checked. We also changed the accounting and risk management of deposit insurance. We also published the Consumer Banking and Small Business Lending Guidelines too. The only guideline I could not successfully launch was the Islamic Banking Guidelines which was postponed at the last moment due to the intervention of some interested quarters. I think this has led to these banks not being properly supervised by the regulator and this cannot be desirable for our financial sector. One of the other major things that were implemented during this time was the risk grading system for banks. Before this change, there were four prescribed lending grades; these were – Bad, Sub-standard, Doubtful and Regular. The problem with this system was that only impaired assets or assets which were not good were only subject to grading, all other assets were lumped into a single “Regular” grade irrespective of the actual risk situation of that loan. We created another 4 risk grades in the system. With these 8 risk grades, the board will easily understand what sort of risk the bank is taking. For example, if the system grades a lending 4 and this risk is considered not desirable by the lending policy of the bank then the board can question the management on what is the risk mitigation process. Similarly, a risk graded 1 which is cash secured risk, like lending 80% against a fixed deposit at the bank, can be seen as very low-risk lending. This differentiation in risk was not identified in the old risk grading system. Our law recognized a loan as a bad debt if it was overdue 180 days but the international best practice was 90 days overdue. There was a commitment made by the government to international bodies like World Bank and IMF on making our regulations consistent with international best practices. The main reason was the perceived shortfall in the provision for bad and doubtful debts due to the no-recognition of post 90 days overdue as impaired or bad assets or loans. We could ask banks to make provisions on 90 days overdue loans but technically this instruction could be challenged by the banks as ‘illegal’ because the law did not support this. We sat down and did an impact study and came up with a hybrid solution. We figured that the 3 months overdue accounts will be put into a Special Mention Account (SMA) and will suspend the interest from them rather than pass them to profit. We also made a 5% provision on the portfolio, mandatory for all banks. By not requiring a provision to be made on an individual account we avoided the legal contradiction and we satisfied the concerns about provisioning adequacy of the donors. This was, of course, a stop-gap arrangement until the law could be amended. We also required SMA accounts to be reported to CIB but not considered defaulter by law. The banks were, of course, asked to be aware of this in their lending decision due diligence process. I and my team have created other things like this to ensure a secure, open and transparent banking system in the country. I had the opportunity of working with a very skillful team at Bangladesh Bank. I had spent 4 years in Bangladesh Bank and those were the most productive and satisfying period in my career. I have learned a lot and experienced the policy-making in banking at the apex body of the financial sector. At that time, Bangladesh Bank was an institution with a wealth of talented individuals. I believe it had the capacity to compete with any top multinational or top local companies in terms of human capital and in terms of the ability to get things done. My memories of the central bank had another highlight – a period of high drama on a personal level. This was during my last year at the Bank, 2006. Bangladesh Bank decided to close down Oriental Bank for irregularities. It was a very significant decision with uncertain consequences for the financial sector. We also refined the CAMEL rating and added an S or sensitivity analysis to the rating. It added a ‘proactive’ element in the sense it tested the bank’s resilience to unforeseen shocks and market volatility through a series of mathematical models. The “problem Bank” monitoring system was enhanced with a formatted monitoring system and a “Watch List” of Banks was introduced with an internal monitoring guideline on monitoring and implementation. This list was an attempt to stop banks downward journey to problem bank. It detected unhealthy trends in banks at inspections and from offsite returns and tried to steer the bank into ‘calmer waters’ again. I think the central bank’s emphasis should be on creating leaders not only technically equipped staff. As a critically important regulatory body, it needs a well trained and a competent human resource base of very high standard. Therefore, investment should be made to train them. I truly believe that sound policy, its implementation, and governance can only be sustainable with a skilled human capital, committed to a set of values. We have to remember that Bangladesh Bank drives the engine of growth of this country, its financial sector. It is very important for a country to get the best people and train them well in the public sector. This will be a good investment and will certainly have a great return in terms of improved governance. During my tenure as Deputy Governor, Bangladesh Bank played an active role in shaping the country’s financial industry. What I am seeing now is that Bangladesh Bank has taken a step back in its supervisory role of the banks. There might be good reasons behind it but there will always be some banks who will try to take advantage of this situation. It weakens the entire system of the industry. It is like a virus and it spreads rapidly in the industry. It is not conducive to good governance of this vital sector and is bound to have long-term negative multiple impacts on the sector and the economy. So eventually the economy will be hampered. Moreover, any investors when they decide to come to a market they look at the banking system and its regulations for investing or coming into the country for business. I left Bangladesh Bank in 2006 and later joined BRAC. I received a call from Late Faruq Ahmed Choudhury, former foreign secretary of Bangladesh, the day after my resignation from Bangladesh Bank. He was an advisor to and a board member at BRAC and BRAC Bank for many years. My father and his father were friends and we had known each other for a long time. He came to my house the next morning and said Sir Fazle Hasan Abed wanted to meet you. I went to see Sir Fazle and he requested me to join BRAC and look after the social enterprises at BRAC. I joined BRAC on 15 January 2007 as the Managing Director, Enterprises and Investments, and worked there for almost eight and a half years. It was a very eventful time in my career. I initiated new enterprises and built on existing ones during my time at BRAC. Sir Fazle gave me a large canvas and all the necessary tools. I also tried to articulate the ‘BRAC in Business’ story and clarify the misgivings that existed about it. I spoke extensively at home and abroad on this subject and have written on it too. There is a chapter in Ian Smillie’s book on BRAC, “Freedom from Want” where he wrote on how I articulated this apparent conundrum. In 2009, Sir Fazle left his Chairmanship of the BRAC Bank and I was elected to that position. At that time, he told me that he wanted to create a financial supermarket. bKash, BRAC EPL, BRAC EPL Stock Brokerage, BRAC Saajan Exchange and BRAC Asset Management Company Ltd they were all set up during the period of my chairmanship of the BRAC Bank and were all components of the financial supermarket. The target was that if any person needs any financial product he/she can go to one of BRAC’s institutions and get the service. The Social Enterprises were being run like NGO and there was a very good reason for that. The enterprises were originally called Program Support Units or PSUs. The reason was they all started to support a project initiated by BRAC in one of their major Programs: Health, Education, and Micro Finance. The PSUs were funded from these programs and their objectives were not sustainability of the enterprise but the project. Therefore, their success was achieving the targets set for the project. For example, a typical target would be how many families have been served or how many locations have been covered. I wanted them to achieve sustainability targets. The objective was therefore changed to achieving a surplus. Stop subsidy and achieve long-term sustainability. The difference between a commercial enterprise and a social enterprise is that in a social enterprise the surplus or profit gets reinvested in the company whereas in commercial companies there is dividend option. The other difference is that the enterprise has to be fair and transparent to all of stakeholders and participants in the supply chain. Unlike NGOs, social enterprises do not depend on donations. Social Enterprises should be self-sustainable with their own operations. What really impressed me about the Social Enterprises of BRAC is that they evolved from being social interventions to support BRAC’s target sector projects, with a bit of remodeling, to sustainable and surplus generating businesses. This was indeed unique genesis of a business. Back then only Aarong was a known brand of BRAC. We had invested in branding BRAC Nursery and BRAC Chicken. We turned BRAC Chicken from a B2B business to a B2C business. B2B business suffers from price volatility. Price often goes up and down and if you do not have a hedging mechanism it is subjected to a very unstable bottom line. On the other hand, the finished consumer goods do not suffer from this level of volatility. Previously BRAC Chicken only supplied to restaurants, hotels and the like, in other words, it was a B2B business. To reduce this business issue we launched B2C products in semi-prepared packaged food market from BRAC Chicken. For BRAC Nursery, we started selling ‘landscaping’ for real estate builders to give a green touch to the buildings which were only bricks and mortar. We also started selling small ‘ornamental’ potted plants to the individuals. At one stage we were planning a campaign called “Adopt a Plant for Your Child”. The idea was instead of giving a mere gift, you give a plant to your child and every plant has to be maintained and nurtured which would have multiple benefits. It would teach discipline to the children as they have to look after the plants daily, water them, clean them and weed them. Moreover, having a pet might be difficult in an apartment but a plant as a pet is not that bad an idea. Adopting a plant will teach children about discipline and value of another life. To me, the most important contribution of bKash is not the technology or the scale it has achieved today but the trust it has been able to create among people in technology. At an individual level, people have not interacted with technology in a way that required financial trust. bKash for the first time as a technology wanted ‘trust’ from its users and in most cases, people responded positively. It has created the basic infrastructure for FinTech and that is ‘trust’. bKash was another great initiative we embarked on. The names of Muhaimen, Tarique, Mahbub of BRAC Bank and Kamal, Iqbal, Arun, and Nick of MiM come to my mind – the people who made it happen at the governance level. Of course, Sir Fazle provided the inspiration. One has to remember that the first 3 years of this now successful company was very difficult and we were lucky to have some very committed individuals in the management of bKash under Kamal Quadir, CEO of bKash. This was something I was thinking about for a while. The issue was the ‘the last mile’. How do we deliver a secure product to the hands of the end users? The main focus was to give poor and underserved people like the workers in the garments and other industries and people in the remote areas a financial platform that they were not having an access to earlier. Most of them were suffering under the clutches of the middleman, thugs, and insecure way of sending money home. The courier services offered a limited service, but most were underserved or not served at all. It is the advent of mobile technology in the hands of the people that solved the last mile issue. I heard Dr. Yunus once described the mobile phone as “Aladdin’s lamp”, it truly is. In the longer term, Financial Technology is the future and mobile phone is the most important and versatile platform for B2C in FinTech. The potential is largely untapped if not unknown. This combination of Fintech/Mobile Tech can be one of the most important game changers of the future. Mobile Technology has condensed many years of computing technology and put it in the palm of even the poorest consumers. I believe it is one of the most significant innovations that human mind has produced along with the computer. Computers opened new frontiers for the human mind and mobile phone made the technology accessible. It is like the invention of fire which allowed the primitive man to venture out further because the fire was light which enabled them to conquer the darkness of night. Venturing out further from home became possible extending the physical frontiers of humans and exploration began. bKash has done a tremendous job, no doubt about it. But to me, the most important contribution of bKash is not the technology or the scale it has achieved today but the trust it has been able to create among people in technology. At an individual level, people have not interacted with technology in a way that required financial trust. bKash for the first time as a technology wanted ‘trust’ from its users and in most cases, people responded positively. It has created the basic infrastructure for FinTech and that is ‘trust’. That is why I do not see bKash as a delivery channel rather it is something more. It has in a way changed the trust infrastructure of financial services and paved the path for fin-tech products. I had been in a conference in Tallberg, Sweden. This conference is an annual event held at Tallberg to discuss a contemporary socio-political issue. The theme of the conference was ‘Trust on Institutions’. The discussions centered on the erosion of trust in institutions. Institutions can be many things, starting from family to the banking system, and democracy to governance. The main thing is that people have lost faith in institutions that are the basic structures of our society. In the west social institutions like marriage, church and family have eroded in the last fifty years and views on democracy, liberalism, state and nationality all have undergone fundamental changes. Around the world, you can see the authoritarian government, quasi-dictatorship, and rise of populism. The question that was being debated was; is this positive or negative, is it progress or decline, good or bad. To look for an answer that question you have to start by defining what trust is. You have done that in your mind but without expressing it. I personally think that I am good at analyzing things. I had a boss who once told me that when solving a complex problem start from the end. I start at the end and go step by step backward. If it is said that we have lost trust then I have to find out what the trust is and then what is it made of? Only then I can understand whether it is good or bad. As I mentioned earlier, I attended this forum in Sweden and it was a very beautiful and remote place in a valley on the shores of Lake Siljan, a place where people go to think and ask questions and meditate. Although I am not an intellectual by any stretch of the imagination, I guess the environment must have brought the thinker in me and freedom to indulge. The event was sort of a retreat of intellectuals and the purpose was to think and discuss. The challenge was to agree on a working definition of trust and how we can work out the best way forward. Going through this exercise was a great learning for me. I found out that Trust comes from a repetitive positive outcome/experience of a causal relationship. Trust means being able to make decisions intuitively. Which eventually led to forming my own definition of trust which is; “trust is a repetitive positive outcome of a causal relationship that allows you to make decisions intuitively”. We trust something or someone after we have done quite a number of same activities with them. We trust that we will get the same taste of burgers in any McDonald’s anywhere you go. And if for someone it is a consistently positive outcome then a trust develops. I think the decline of trust is not necessarily a bad thing because you start questioning the system and people. We must agree that public trust in many of these institutions is an outcome of the failure of these trusted institutions to deliver a positive outcome to a sufficiently broad number which caused to raise questions on their relevance. The advancement of the human race has been inherently dependent on questioning systems, structure and activities because questions often lead to better answers. If we stop questioning there will be no advancement or improvement. At BRAC, running Social Enterprises was a great experience for me. They taught me something fundamental about doing business which is that stakeholder optimization is much more important than mere profit and shareholder optimization. Some business believes in only shareholder optimization and social enterprise believes in stakeholder optimization. The greater good of the society will only come from social enterprises and you do not need corporate social responsibility for that. I think CSR is an ineffective mechanism of serving the society. In fact, many big corporations use CSR as a profit-making activity. Actually, to those corporations and companies, CSR is a just fig leaf to cover them up just like Adam and Eve did in the heaven after being deceived by Satan. You have to believe that you have a responsibility towards the society. CSR starts at your home. You have to treat well the people who work for you and then the community and the society. When I was at BRAC, a group of bankers led by individuals like Peter Blom, Sir Fazle initiated a movement under the name of Global Alliance for Banking on Values. At the first meeting held at Zeist in the Netherlands, which I attended, it was agreed that we will promote value-based banking. Banking that promotes needs of the stakeholders in a sustainable way as its first priority. It was stressed that we are not against the present system but we are offering an alternative that will create a better financial eco-system. I was also involved in several World Bank projects. I worked in performance-based grants initiative that used to give grants based on performance to encourage financial inclusivity. I also got involved with Alliance for Bangladesh Workers Safety as a member of its Board which I left in 2015. However, at their request, I have joined the Advisory Board. ADR has a rich history and tradition in our society. We had strong alternative dispute resolution system in our society such as village committee and village court type initiatives; ‘shalishi’ is the word that was used to describe this process. People used to obey this system because it was effective and made by the people of that society. But after 1857, the British government took up the administration of India and set up judicial system in order to exercise power and authority. This undermined the local informal dispute resolution system and gradually weakened it. People, therefore, lost confidence in the homegrown ADR and started abandoning this route and went to the courts to address legal issues. I left BRAC in June 2015 because I wanted to pursue some other interests, and joined BIAC in October 2015. Mr. Mahbubur Rahman, Chairman of BIAC, one of the industry leaders and a very well-known person and Mr. Latifur Rahman, Chairman of Transcom Group, both of whom I respect very much, insisted that I should work here and help it to attain sustainability. I have found out how difficult it is to make people believe that we should go for alternative dispute resolution (ADR). This is, I deem, is an incredibly important work for the country in order to improve our doing business environment. In the ranking of World Bank’s doing business index Bangladesh’s position is 176, below Iraq and Syria which is depressing, so to say. There are 3 important reasons behind our very negative position. One is power shortage which is being solved gradually. The other challenge is registering property which will also be solved soon by the introduction of a digitized system of registration. I believe the government is already working on the digitization of land records. The third one is ‘enforcing contracts’ and this is where Bangladesh is up against an intractable and extremely difficult issue. The problem is that in order to enforce a contract one has to go to the court and it will take around 5 years to get a court decree. Further, if you have a one crore taka of claim and you are awarded that money by the court then you will end up having 33 lacs. The rest of the money will be used to finance your legal action. This is a very inefficient and ineffective mechanism. Given the lengthy and expensive nature of the contract enforcement litigation process, having an ADR option is a must for us. This is what we are doing at BIAC. I consider this to be of paramount importance. In many other countries, this sort of institutions is set up by the government. But BIAC is, rather uniquely, a private sector initiative. BIAC was set up by DCCI, ICCI, and MCCI to promote the idea of ADR in Bangladesh as well as to play such a role as an Institution. That said, in order for BIAC to be effective we need help from the Government in terms of infrastructure, regulatory change, and other relevant support. In many countries, the laws and regulations force people to go for ADR to resolve dispute rather than coming to courts. Also, the government actively fund and subsidize the ADR institutions. But in Bangladesh, sadly this is yet to happen. A US Supreme Court Justice, Sadra Connor, has said something profound in favor of ADR. In an article, she said “Courts should be the last place that you will go to. After you have exhausted all your options then you should go to court” In many ways, the legal infrastructure of our country is not ADR friendly. There is a steady pushback to the idea of ADR, which is unfortunate. But we will keep on doing what we have to do and keep on trying to implement a change in the business sector. We are also now realizing the huge cost the economy is paying by abandoning ADR. This is my story in short. I think I will add that throughout my career I have tried my best to remain true to my responsibility and remain honest to myself. Regardless of my position and workplace, I tried my best to contribute. I just wanted to be useful for the country and to the organization I worked for. My family has been very instrumental throughout my journey. It is very difficult to pursue your dream if your family is not supportive of what you do. In 1997, I returned to Bangladesh and became the General Manager and Country Head of ANZ Grindlays Bank in Bangladesh. It was a great responsibility not because I had to take the position of the head of the bank but because I was the first Bangladeshi ever in a multinational bank in Bangladesh and the stake was therefore high. I had to prove that a Bangladeshi could do the job as well, if not better than an expatriate from UK or Australia. I had a sense that I was under scrutiny not only by the banks but also by all the other companies, multinationals, and foreign bodies whether they were our customers or not, particularly, the multinationals which were still sending expatriates to run their Bangladesh operations. I had to think carefully before taking any step as it would give signals to all multinationals, multilateral and foreign programs in Bangladesh about the leadership capacity of Bangladeshis. I think I did convince them that we can. Was there any particular event in your early life that influenced you greatly and shaped how you look at life? My father started his career as a teacher of Dhaka University in the mid-30s. My mother was a poet and I considered her to be a person of very refined taste. She used to read a lot. Her poems were published from magazines in Kolkata and Dhaka. My maternal grandfather was also a writer. So, my mother came from a family of enriched minds. She encouraged me to read books and open my mind. I remember as a child on my birthdays she would give me Tk 5, and ask me to buy a book. This was in the early sixties and therefore enough to buy a good book. She would write something for me on the first page as a remembrance. After his higher studies, my father returned home and started teaching at Dhaka University. Later he moved to an administrative job and retired as a registrar of Dhaka University and he was a very well-known person in his time. Even though the father-son relation was a bit distant in that time, I still tried to learn from him and his personality. When I used to show him the result cards given by school at term ends, he would just ask me one question and that was if I had tried my best or not. If I had said “Yes, I have tried my best” then he would not ask anything else. But I felt guilty every time I said that because I knew there were some subjects where I had not tried my best. So one day I told him that I did not put my best effort in a subject and I could have tried to do better on that subject. He told me that he was glad that I could realize that on my own and it is the only way of improvement. You have to realize that where you can do better to improve your performance. He used to tell me that if you want to be happy limit your ambition because ambition is unending like an all-consuming fire. If you cannot limit it, it will take control of you and destroy you. Another thing that he used to say is that you must have humility and that arrogance stops you from learning from experience. He also taught me that what you call yours is actually not yours. You can at best hold ownership for a while but you can lose it at any second. He told me that never give anything or do any good favor for anyone with an expectation that you will get something in return. Think that you are doing it for the Almighty because he has commanded you to do good things. You should never expect a return from the person because he can only return your favor if the Almighty wills, therefore you should expect a return from the Almighty. He has promised to reward good deeds. His advice has been my guiding principles throughout my life. My mother and my wife were both have been a positive influence on me always. He used to tell me that if you want to be happy limit your ambition because ambition is unending like an all-consuming fire. If you cannot limit it, it will take control of you and destroy you. Please tell us about BIAC, an overview of your work, operations, and team. It is a small organization. We have around 10 people. Although our institution is small, our agenda is big. We are trying to bring a quantum change in the way we resolve our commercial disputes. In the past, we had a strong culture of resolving disputes among ourselves which have since declined. Now by default, we run to the court for any dispute. This is largely because of the British dominance after 1857, as I mentioned earlier. Moreover, there are interest groups who do not want ADR to come into existence. With these two factors, we are trying to bring a large change in the attitude of people and the legal infrastructure. For now, our immediate goal is to make BIAC self-sustainable over the next 2 to 3 years time so that it can continue the work it has been doing. Our mission is to embed ADR in the dispute resolution ecosystem of the country. For the next three years, we have some concrete goals to achieve including plans for advocating reforms in our regulatory infrastructure, making people aware and appreciate the benefits of ADR and its usefulness, creating a constituency of individuals in the legal profession with the knowledge in the international best practices in ADR and lastly plan for reaching out to the world and get recognition for BIAC as an ADR platform in Bangladesh. These are the four main areas that we are currently working on. We have made significant progress in terms of achieving the last goal which is establishing BIAC as an internationally recognized institution in this field. We are now recognized by Permanent Court of Arbitration (PCA) in The Hague in the Netherlands. They had a case a few days back in Bangladesh and they asked us to appoint an arbitrator in that case. We are also recognized by ADR Institutions of Singapore, Thailand, Malaysia, Vietnam, Hong Kong and India. We are in communication with many other national and regional institutions to recognize us. The implication of these types of recognition and collaborations is simple, suppose there is a dispute between businesses from Singapore and Bangladesh then we can assist in solving it through ADR. We are working on that but there is a long way to go. The next part is outreach so that people can know about BIAC and ADR. At first, we are trying to sensitize the young people and for that, we are reaching out to universities through seminars and presentations. Secondly, we are talking with these institutions to include an adequate and time relevant ADR course in the curriculum of related disciplines. Thirdly, we are giving in-house training on ADR and also arranging training abroad through the collaborations with different countries. Lastly, Section 89A of the Civil Procedure (CPC) makes mediation compulsory in a commercial dispute. The judges can certainly help by increasingly enforcing this practice. Moreover, Money Loans Court Act 2001 does not recognize arbitration as a procedure nor out of court mediation. They only accept a court directed mediation which the Act requires. This mediation is usually ‘done’ in a way that does not close within the prescribed 60 days on a positive note. There are certain issues in the legal structure that need to be ADR friendly. There are global best practices that can be adopted by Bangladesh. This is what we are trying to do. This is a monumental task with complex interaction with internal and external stakeholders. There are also interest groups, lack of government funding and support. I am still not sure about the success and failure but I am going to give it a very good try. I have had failures before in initiatives that I had tried but I really hope that I become successful in this one because this is too important to allow it to fail. The impact of success will be momentous and will impact all sectors of our economy. In business, there will always be contracts. The contract is the basic structure on which the commercial transaction rests. With a contract, there is always a possibility of non-performance. If the time required to enforce performance of a contract through litigation is 4 to 5 years and as per World Bank data, to the remedy of non-performance of the contract the cost incurred is 66% of the claim, this is, in no way, a feasible remedy of non-performance. As a developing country where FDI and local investment are needed, we have to rethink and fix this problem. This is creating huge inefficiency in doing business in our country and as well in the economy. If the legal structure of a country is like that then it must have an impact on investments and investors. In the late 1980s, world economist was talking about transaction costs of doing business in different countries. The transaction costs comprise of the level of efficiency of a country’s institutions like the type of government, bureaucracy, the judiciary, body of law, municipal systems etc. The economy’s efficiency is a function of how well these work or the quality of governance. The lower the quality of functioning of these institutions, the higher economic transaction cost gets. An investor will want to know these factors before he makes an investment. Bangladesh is 176th in doing business index and 189th out of 190 countries in enforcing contracts. We need to make efforts to address these issues. It is likely that the investor will hesitate. Now let’s look at it from another perspective. This hesitant investor may still invest but will want to add a ‘risk premium’ to his expected return on investment and adjust his pricing accordingly resulting in a higher price of goods and services and of course in capital flows. All of this cost undoubtedly will be placed on the customers and taxpayers. For example, Bangladesh needs the highest amount of money for making a 1 kilometer Road. This is partly due to the high-risk premium. Due to all these reasons, BIAC is of paramount importance to me. The failure of BIAC as an institution is not a failure of this institution alone it is the failure of all of us to take the opportunity to improve the economic performance. You touched upon a little bit on this, then and again, what are the major challenges for ADR and for BIAC now? The biggest challenge is the attitude and mindset of people and the other one is infrastructure. People have to understand the value of ADR first and then we need support from the system in order to make sure that people take advantage of ADR. In the UK commercial cases must go through arbitration and mediation first. If that fails only then they have the right to go to a court. But the court will examine whether they had actually tried to solve it through arbitration and mediation and if the court finds that there is a lapse or lack of commitment to resolution through ADR, it (the court) may award punitive costs on one or both parties for ‘wasting’ the court’s time. We don’t see any such effort in our context. These are a few challenges that we are facing. What is your observation about the overall Banking and Financial sector in Bangladesh? There are questions around the number of banks in the country which many people consider as too many. There are issues related to bad debt and newer challenges and opportunities like FinTech as well. Firstly, I would not complain about the number of banks as long as there is a mechanism for eliminating or taking over the weak banks in the economy. In many countries, large and strong banks often take-over the marginal, weak and inefficient banks. In our country, there are certain regulatory protections, binding and immunity. This often protects the weak banks to the detriment of the economy and the customers. As a result, we are seeing 55 plus banks doing the same things by duplicating each other with minimum innovation. This makes everything supremely complicated and of course inefficient. Licenses are given on the plea of competition and access but neither of the two objectives is fulfilled. There is also the very important question of quality of the human resources deployed in the industry. A bank is NOT the building or the furniture it occupies. It is also not the hardware or software it runs. It is the people who are the bank, its employees. Therefore the quality of the people and the leadership determines how good a bank is. If the leaders are incapable, the other employees cannot perform and thus the whole bank becomes inefficient and incapable. If we look at the state-owned banks, most of them are insolvent or do not have adequate capital but they are still going on. With the existing legal and regulatory framework, a bank will continue to operate on the basis of available liquidity even if they are insolvent. The state-owned banks are insolvent but not illiquid. They do not suffer from liquidity issues because people still deposit money with them and are trusted because of state ownership. In our country, a weak bank will only face regulatory suspension if it faces a liquidity crisis. In my experience, Bangladesh Bank as a lender of last resort will try to tide them over until that happens. The outcome of such a regulatory environment is an inefficient banking and financial industry. As a customer, we are paying more than what we are supposed to pay for the banking services. If you look at the branches of different banks you will see an unnecessary proliferation of branches, a single area has multiple branches of multiple banks. In reality, we do not need that many branches in an area. If five of these banks merge together, there will be fewer branches in an area. And because of the merger, the associated costs of running one individual Bank will be much lower than operating 5 different banks separately. It will become more efficient and ultimately the benefit will go to the customers. Another issue in the banking industry is the development of human resources. The banks are not investing enough in training and developing people. In this respect, one has to see the people output one small foreign bank, ANZ Grindlays Bank, (which later merged and became Standard Chartered). This foreign bank has made a tremendous contribution to developing the human capital for the banking industry that far outstrips its relative size. It is unprecedented and unusual for any one organization to have that much impact on the industry. The only reason was the solid human resources forged by intensive training and development. The seniors at ANZ have tried to develop leadership from their teams by assigning them responsibility and we had to make sure that they are properly trained. At ANZ, we had a program called high potential officers (HPO), a group of young people selected through an internal process. These HPOs used to receive priority in training and development and they used to receive a fast track career because of their ability and expertise. I know of this because I was in this group for some time as were a couple of others from Bangladesh, and experienced the intensive training we received. The Bank invested on building its human capital. The HPOs were probably 5% of the total headcount yet the investment in training them would be 5 times. The CEOs and leaders in the bank used to ensure that they are properly trained, nurtured and developed. In our local banks, we do not see this kind of culture. Not just in the banks, this needs to be developed in the whole business ecosystem of our country. we are the leader in garments market but still, we need to bring people from abroad to manage our garments whereas we should have been the one to send human resources to run garments in other countries. The only reason of this is that the owners are not investing in the development and training of its own people. Eventually, a gap is created in leadership and management and the foreigners are reaping the benefits out of it. Any great business is about people. Without people, there is nothing but bricks, buildings, and machines. If you look at the overall business education scenario, we don’t have an institution whose only focus is teaching Management. In India, they have Ahmedabad Institute of Management, Indian Institute of Management among others. But, we do not have any specific institution for management. We have IBAs but it is part of a university and the funding depends on the decision of the university. There is no independent institution whose focus is management. We are seeing the consequences of this – a huge dearth of middle manager and the increasing number of managers coming from India, Srilanka and other countries. For instance, we are the leader in garments market but still, we need to bring people from abroad to manage our garments whereas we should have been the one to send human resources to run garments in other countries. The only reason of this is that the owners are not investing in the development and training of its own people. Eventually, a gap is created in leadership and management and the foreigners are reaping the benefits out of it. Any great business is about people. Without people, there is nothing but bricks, buildings, and machines. The banking industry has become very conservative in training their people. They use bonds and other bindings for sending people out to training. We have been sent to UK, Australia, India and many other places for training but we never had to sign any bond or bindings. These are the practical challenges that the banking industry is facing right now. About bad loan, my opinion is that as a nation we have never been serious about resolving it. If we compare the foreign banks from the first world operating in the country, they had large portfolios of local corporate loans, yet none of them have suffered “bad loan” disease that some of the local banks and the state-owned banks have. The reason is that they follow certain disciplines and guidelines about where to give loans and where not to give loans. They work hard to manage and mitigate risk. There is a very robust and structured monitoring system. The whole thing goes through constant re-evaluation process and procedure for improvements. On the other hand, our local banks are not serious about bad loans and they are not following the procedures properly. There is also the problem of directed lending and overall the critical issue of governance. The bad loans are causing inefficiency in the overall banking industry. It is high time that the bad loans are mitigated. This is not something that you can’t fix. The problem with the bad loan can be solved within the next 5 to 6 years if the regulators want and there is political will. Bangladesh Bank should play an active authoritative role in this issue with announced consequences. It has to be felt personally by the people working on recovery of bad loans. On an operational level; there is a concept in the banking industry called ‘hospital set’. It means the accounts that have gone bad. So just like a hospital, you have to put the accounts in ICU, HDU, general ward or an emergency according to the condition and magnitude of the bad loan. Then you have to treat it as a patient, monitor them and make them functional again rather than just putting them on the bed without any treatment and monitoring. Another concept is a good bank and bad Bank. All the bad accounts are bundled up in a separate portfolio and an individual is given charge to recover all the accounts. He has the authority and resources to do the needful to recover the accounts and his performance will be measured solely based on the recovery of these bad loans. So banks can adopt this type of concepts for realizing the bad loans. There are global best practices that can adapt to help this process. The outcome of such a regulatory environment is an inefficient banking and financial industry. You have been talking about fin-tech and its impact on banking industry for a while now. In many markets emerging Fin-Tech companies are challenging banks and established financial institutions. Similarly, banks are also investing heavily in financial technology. In our context, what impact do you see Fin-Tech is going to have on our banking industry? I think the impact will be mostly on distribution, particularly in B2C distribution and in the processing of B2B. In these two places, fin-tech can take things away from the banks unless the banks harness them for its own work. 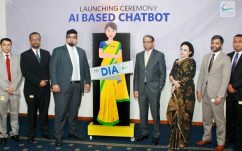 The biggest strength of technology lies in its ability to reach out to a huge number of people in the cheapest cost which means through fin-tech you can reach more people with a lower cost whereas banks have to do their operation through branches and human interface which is not always cost effective. For the B2C part, it is better to have an outsourcing company handle it. For B2B, the cash payment service can be done by fin-tech. In that way, one person has to aggregate all the payments from different people and send it to the bank. In the meantime, banks have been spared from the aggregation complexity. With fin-tech and less burden on aggregation, the banks should be able to focus more on its core function that is giving loans, keeping deposits and making a profit out of the imbalance and of course keeping the risk in check in making a profit. When I was in ANZ, I had written to Bangladesh Bank about data input outsourcing. I told them that I would have a core group of people who would be the inner circle, I would have a second group of people who would be contractual and there would be a third group of people who would be outsourced. This strategy helps you to minimize the risk. I think if banks can use it properly to their advantage, fin-tech will bring immense opportunities and benefits for the banks. Don’t you think it will disrupt the banking industry in some way? Moreover, it is difficult for an existing well-run organization to innovate. From the classic disruption theory, it is always hard for a well-run company to invest in new innovation because they already have a winning business which prevents them from coming up with new innovation and eventually get disrupted when a new company comes up with a better product. The challenge is when your existing business is healthy and bringing you a good return, you want to invest in your existing business to increase the return and you seldom want to invest in something which will not bring you return in the short-term instead will cost you money. If your business model is such that it cannot withstand any disruption then there is certainly some problem with the business model. A business model must have flexibility in it. For example, Uber is a disruptive model in the transportation industry. But in Singapore, the taxicab industry has changed their business model and now they also can be called on demand like Uber. They are fighting back. Uber is still cheaper than the taxi services but they are trying and the taxi transportation industry must come up with some efficiency plans or model so that they can compete with Uber in the market and survive. That’s how things work. You need to respond to the changes in the market. The world has seen disruption all the time. I believe that disruption is nothing but the evolution of business. For instance, I know a company that used to only work in government projects in building roads, buildings, and bridges. They did that because the government was the biggest client. But now they don’t work with the government at all. They are now working in Apartment blocks and other businesses. They have changed their business model completely. The disruption was the rise of the private sector and in order to adjust they changed their business model entirely. This is very familiar in other industries as well. But now we are giving new and fancy names to these things like ‘Disruption’. Change is the only constant and that’s how things have been going on for centuries and we were able to achieve new heights and more efficiency in life and in business. Strategic thinking is done by us in many ways. 3 horizons innovation model is one of the ways of thinking. In this strategy, you have 3 sets of products. One group is on their way out. You will not be able to sell it anymore. The margin of this kind of product is very thin. Then you have the second group of products which has just come out in the market. The margin of this kind of product is very large as they are new and have added features than the previous group. However, after some time the market is loaded with this second group of product. The margin gets thinner. The last group of the product is under development. You will market them in the future with all the required features and utilities. The result of this 3 horizon strategy is that you will have 10-year overall margin from the 3 types of your products. With the new technology and disruption, the market and the products both will change. Those who will be able to change according to time will be able to survive and thrive in the market. I am sure that the banks are also looking at it. Just because they are earning revenue now, they are not sitting idle without making plans for the future. However, the banking industry of Bangladesh is a protected industry. So the industry has to be set off on its own for its operations and business as it will create competition and efficiency in the banks. Fin-tech is a challenge for the financial industry but banks should not be afraid of it and of course, they should not ignore it either. They should welcome it and use it to their advantage. Fin-tech has a lot of potential in terms of improving efficiency, minimizing cost and effective use of human resources. If you look down the line 10 to 15 years, where do you see the industry is going? I strongly believe that the business model that the banking industry now have will be no longer in existence in the next 10 to 15 years. Even if it exists, it will be a heavily subsidized and inefficient institution. The reason is that the cost of doing business with the present model is very high with a large number of branches and other things. If we want to include every person in the banking industry with a bank account and transactions and want to attain the middle-income country status then we must drop this model. It will be useless in the future. To achieve the goals and targets we need to have an enabler in the banking industry. This enabler is fin-tech and its application on hand-held devices. It will create a large multiplier effect on the economy and inclusivity and our GDP will automatically grow. Imagine, if 130 million people out of 160 million get included in the financial system with a bank account and do transactions through the financial system, it will create a huge multiplier effect on the economy. In the current system, a lot of transactions and businesses are being done outside the system and they are not part of the multiplier. It is like empowering women. The moment we started empowering women we have seen a huge upward push in the economy and workforce. Data Analytics is another future for the banking industry. The banking industry has a huge wealth of data which can be analyzed to see the behavior of specific segments of customers. Banking industry sees the behavior of people more closely than any other industry because the transactions are recorded and specified. So if the banking industry can put data analytics in work, it will enable them to see and explore many opportunities and new dimensions. This would help banks to come up with new products and features to better serve their customers. In brief, the possibilities are endless in this industry with the new technologies but you have to invest in people, innovation, and technology. From your experience, what does it take to build a sustainable institution? Sustainability is not only about bottom line or margin. It is also about people, products, and many other things. The main thing is to have efficiency so that you will have a margin which can be plow back to the company. Moreover, you have to do the right thing for the stakeholders. Disciplined financial management, community and human resource, these three things together can contribute to the sustainability. Finance will be the margin, the community will be the external stakeholder and human resource is your asset. I’m a believer in teamwork and leadership. Companies that make things happen work as a team and they invest in developing leaders. Leadership is about creating an enabling environment for your people to innovate, be creative, perform and give their best effort and excel in what they are doing. You have to make sure that in the end, the positive outcome of their endeavor goes to the benefit of the company. I believe in mentoring people and helping them to achieve their personal and institutional goal by integrating both of them. That is my philosophy. Life is about contribution. You can pursue many things, you can achieve many things but at the end of the day, it is about other people not about you. As I said earlier, there is no end to our desire. A life of desire seeks more and more for the self. It is, in a sense, a life of poverty because you are never satisfied. But a life of the spirit of contribution does not need much to attain fulfillment. How do you think about life? Life is about contribution. You can pursue many things, you can achieve many things but at the end of the day, it is about other people not about you. As I said earlier, there is no end to our desire. A life of desire seeks more and more for the self. It is, in a sense, a life of poverty because you are never satisfied. But a life of the spirit of contribution does not need much to attain fulfillment. As a human being if you have lived a life in which you could contribute to the community in a positive way, and you have not done anything that you regret and affected anyone in a negative way, then, I think, you have lived a good life that has had a net positive effect. Stress often comes from a negative gap between your value system and what you are trying to do. For example, if you’ve always thought that you will never indulge in corruption and when for the first time you are offered a bribe, you are in a quandary. This dilemma creates a negative gap between your values and greed. This negative gap creates stress. The first thing you need to do is, recognize this negative gap and then try to solve it. You have to take a decision and justify yourself for that so that you can minimize your negative gap. Often we find people who abandon their values rationalize or justify their actions by saying things like, everyone does it or my pay is so low and I have to cover this expense and so on. These are all attempts to manage the stress they feel initially. We call it ‘conscience’ too. But I say this is stress management because the second time it gets easier and by the third or fourth time it becomes the norm or shift in values. It can also be a negative gap between expectation and reality. You might expect someone to do a certain amount of work with a certain amount of expertise but they might not deliver on that. This can happen to yourself as well. I think when you feel the pressure, instead of getting stressed, try to understand the source of the stress and try to manage it. I listen to music, which is one of my hobbies. I am what they call an ‘audiophile’. I look for purity in the sound of music. I have a fairly esoteric audiophile sound system. On holidays I like to listen to vinyl records (long playing records). This also helps me to relax and de-stress. I also like paintings and looking at them soothes me in a way that I feel less stressed. I have been an art collector for many years and have paintings by many of the talented artists of Bangladesh and the Masters. I like going to the galleries too when I get the opportunity. I used to read a lot but after a cornea transplant my eyes cannot take the stress of reading or writing for long periods. What advice would you like to give to the people who are just starting out? At first, you have to be honest with yourself and the people around you. Make sure that you are not afraid of the reflection you see when you stand in front of a mirror. You must be happy and proud of it. This can only happen if you have lived a life that has had, as I said earlier, a net positive for your family, for your community, your country and the world at large. Sometimes people don’t reflect on their actions. We should spend some time reflecting and thinking about our actions and their consequences. Thirdly, you need to have some ideals and values. It can be religious or nonreligious but at the end of the day, it is your values that make you who you are. You need principles to give you strength and stability because life is not about winning all the time. You might lose a battle but you should always remember that you are here to win the war of life. War is always about what you considered to be the objectives of your life. At first, you have to be honest with yourself and the people around you. Make sure that you are not afraid of the reflection you see when you stand in front of a mirror. You must be happy and proud of it. This can only happen if you have lived a life that has had, as I said earlier, a net positive for your family, for your community, your country and the world at large. Sometimes people don’t reflect on their actions. We should spend some time reflecting and thinking about our actions and their consequences.